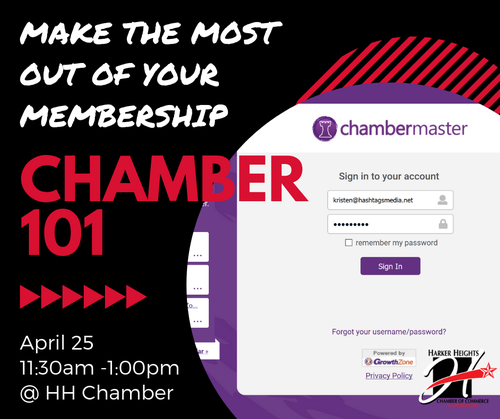 Join us for a lunch workshop on how to make the most out of your Chamber tools. We will go over what is already available to you by being a partner. Come join us!